RM Hair – Our aim is to craft beautiful styles suited to you. Great hair designed with you in mind. Our aim is to craft beautiful styles suited to you. Great hair designed with you in mind. At RM hair, our mission is to create beautiful hair styles with the individual in mind. We take into account your facial features, bone structure and skin tone to individually tailor your hair to be bespoke to you. After all you wear your hair when you wear nothing else. Hair is not just our business, it’s our passion. Rob has 25 years’ experience, starting his career in central Manchester at 16. He has been fortunate to have worked for some of the best companies the industry has to offer. 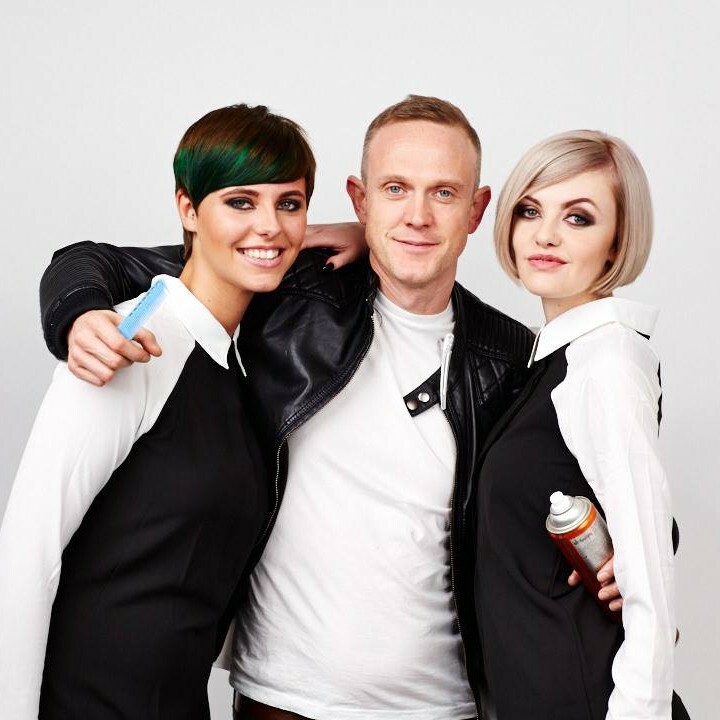 As well as working in the salon Rob has also worked on award winning photoshoots. 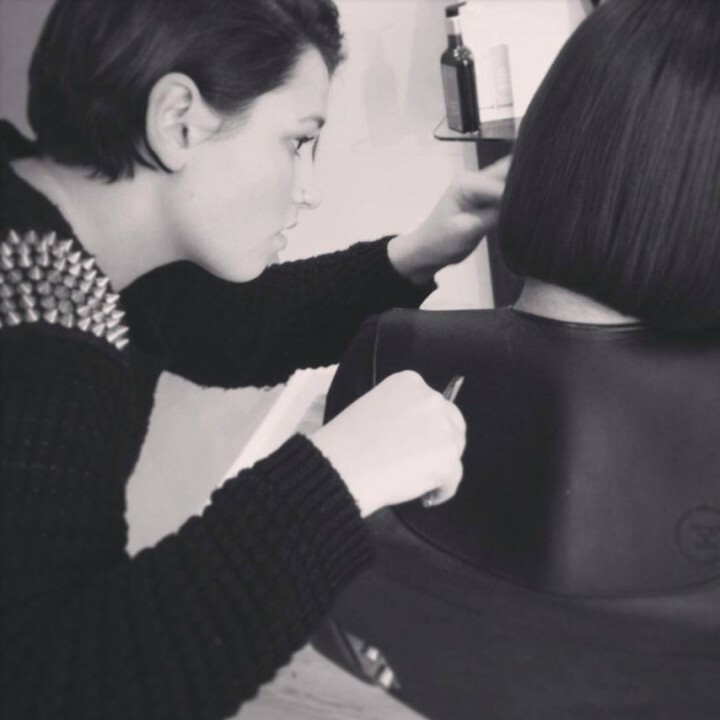 Gemma has 10 years’ experience and she enjoys all aspects of hair dressing, especially bridal and dressed hair. Gemma has also competed in some of the industries most prestigious competitions, winning through to the UK finals. Zoe is our graduate stylist. Zoe has recently qualified and is now styling hair on the salon floor. She has been Rob’s protégé for the last three years. Absorbing everything she has been taught with great enthusiasm and passion. All aspects of hairdressing excite Zoe. Never tried a different salon than my usual so went out of my comfort zone today tried here and got a fringe, Zoe was amazing and made sure i liked it the whole way through, nothing was too much trouble for her (I’m fussy about my hair) and the service was amazing, so glad I risked it! Lovely salon, great location and the team are always welcoming. Gemma does my hair and she always does a wonderful job – I’ve never had so many comments on my hair as I do now with Gemma looking after it! I’ve been a client at RM Hair for as long as it has been open. I love the fun environment and the team are like a family. I wouldn’t dream of letting anyone else loose on my hair, but I know I’m in great hands with Gemma. She is a true colour genius. Lovely salon and friendly staff. Absolutely love the cut Gemma did for me this morning. Clean cool calm surroundings, attention to detail and nothing is too much trouble. Zoe does my hair and she’s fab! Listens to what I think might be good in terms of cut and colour and she gives advice on what will work and what will suit me. A top class hairdressers. Zoe is also extremely patient as I’m not the easiest of clients I’m sure! All of the staff are professional and care about every client who walks through the door. Decided to go for a big chop! I chose RM hair and I’m so pleased with how it’s turned out! Zoe was excellent, I will definitely be returning in the future! The staff are so friendly and I always love my hair when I leave! Friendly atmosphere, really listen to what you want and only suggest things when you ask. They don’t try and push their opinion on you like others in the area, and again unlike other in the area have consistently listened to what’s wanted and actually achieved it. When you ask for long layers they do that and don’t take loads off at which point by the end its to late to reverse! I consent to having this website (rmhair.co.uk) store my submitted information so they can respond to my enquiry.